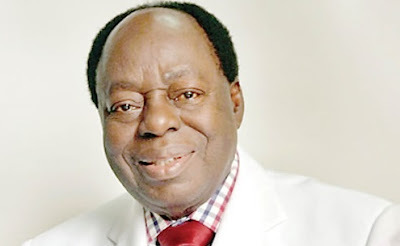 Renowned lawyer and founder of the Afe Babalola University, Ado-Ekiti, Ekiti State, Chief Afe Babalola (SAN), has revealed why the Ekiti airport project failed. He said the “much-expected” airport project failed because the administration of a former governor of the state and Minister of Mines and Steel Development, Dr. Kayode Fayemi, allegedly said that the state did not need such a facility and hence did not follow up the Federal Government’s intention of setting up one in the state. Babalola stated this in Ado-Ekiti on Thursday during the commissioning of the ABUAD Industrial Research Park, a statement by Mr. Idowu Adelusi, the Chief Press Secretary to Ekiti State Governor, Ayo Fayose, said. According to the statement, Babalola said there was still the need for such a facility as the state had no railway line passing through it, adding that an airport would be a better option for people to access the state. Babalola noted that he made spirited efforts at getting an airport built for the state during the administration of former President Goodluck Jonathan, saying that apart from Ekiti, a similar project was earmarked for Bayelsa and Gombe states. He alleged that while the other states had their airports built, the Fayemi administration did not show interest in it. Also commenting on the project at the event, Fayose said he made efforts at getting the airport built when he first came to office, but that the efforts were frustrated. He said, “We acquired land and moved to site after meeting with all the stakeholders. In fact, we had cleared over 30 hectares of land. Surprisingly, some people went to instigate some landowners and they went to court to stop the project. The matter is currently at the Appeal Court. “It is the Federal Government that has the power to build and operate airports in the country. I am appealing to great sons and daughters of Ekiti like Baba Afe Babalola to intervene and call all sides together and resolve the issue. The Special Guest of Honour at the event, the Ooni of Ife, Oba Enitan Adeyeye Ogunwusi, commended Babalola for his initiatives. » The Afe Babalola University 2014/2015 Post UTME Screening Holds On Saturday, 5th July, 2014.